Women do look for role models to inspire themselves and their daughters. With history being such a long road map to the past accomplishments of men, it’s not surprising that some theorists have predicted that the future will belong to females. In fact, my daughter has attended two mini summer camps at all-girls academies, and one of these (Mother Seton) has that forward-thinking, encouraging belief as its motto. At that school, the administration stresses, the future is hers. (They cleverly blend the “her” of “Mother” and the “S” from Seton. 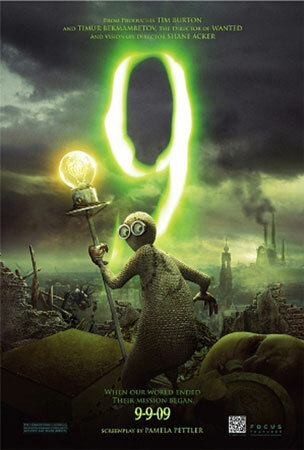 Kudos to their graphic designer!) Barbie and Mattel are always scouting for role models for their lineup of dolls, and in addition to present-day Sheroes, Mattel has recently celebrated an amazing array of Inspiring Women. The Inspiring Women series salutes historical personages, like Amelia Earhart, who accomplished courageous, unheard-of, and admirable feats. These are truly astounding individuals. The Inspiring Women series has debuted with a trio of women who reflect different races, societal income brackets, and expectations. The first three that have been launched are the pilot Amelia Earhart, the artist Frida Kahlo, and the mathematician Katherine Johnson. 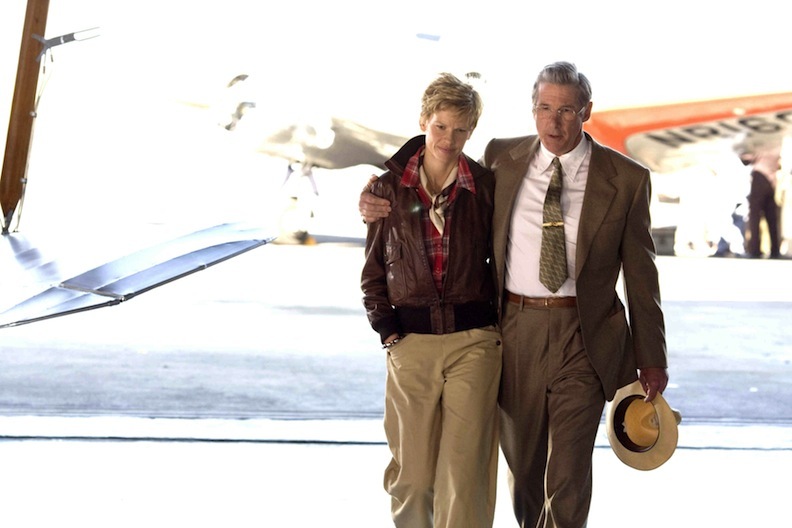 Of these three, Earhart is the most well-known. One reason for her enduring fame is that her life story never reached a measurable or understandable conclusion. While flying from Papua New Guinea to Howland Island, the aviator vanished. Her plane and her body were never recovered, so her disappearance has fascinated mystery buffs, flight enthusiasts, history students, and movie fans alike. Having disappeared on July 2, 1937, Earhart was finally declared dead in absentia, on January 5, 1939. She would have been 41 years old. Earhart was a rangy, wiry woman. She carried herself like a person who was always raring to go, seeking an outlet for her dreams and her ambitions. Earhart was the first female aviator to fly solo across the Atlantic Ocean. She was honored with the United States Distinguished Flying Cross for this achievement. 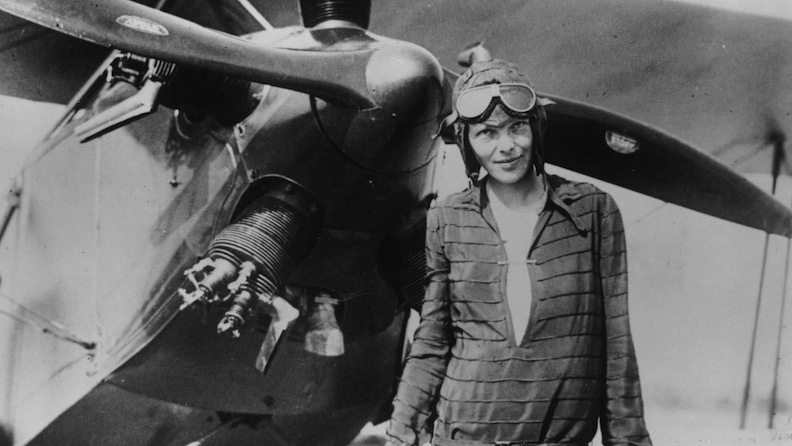 Earhart was not shy about her prowess, and she wrote books chronicling her flight experiences. A founder of the Ninety-Nines, an organization for female pilots, she knew that her gender could be seen as a roadblock by many skeptics. Rather than letting her womanhood define and limit her, she used her femininity to grab headlines, get press attention, and become a national phenomenon. Before her untimely demise—or at the least, vanishing—Earhart was a crusader for an early drafting of an Equal Rights Amendment, became a spokesperson for the National Women’s Party, and was employed as a visiting professor at Purdue University. While working as an advisor to the aeronautic engineering department, Earhart lobbied to have more women enrolled in that division. She wanted to see female students excel in this field that had been declared a male niche and a testosterone territory. Earhart was a great interviewee, and she received the newspaper columns that she and her manager courted. 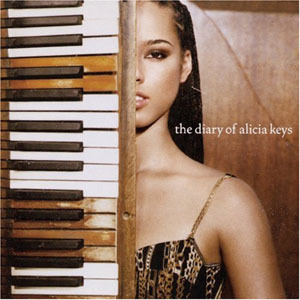 During her give-and-take sessions with journalists, she spoke her mind and spoke out about what she wanted to attain. Her “sound bites” of the 1930s are an uplifting and motivational call to action for all young people, and particularly women. Years before Nike embraced “Just do it” as their ad slogan, Earhart succinctly told a reporter, “The most effective way to do it, is to do it.” It is more long-winded than the Nike phrase, but its core principle is the same. Earhart didn’t stay home and paint canvases of the sky and some happy clouds (apologies to Bob Ross). No, she soared across them. “Flying might not be all plain sailing, but the fun of it is worth the price,” she famously wrote. The life and times of Amelia Earhart are juicy ones, because she was a maverick for her era, and remains so today—nearly 80 years since her death declaration. 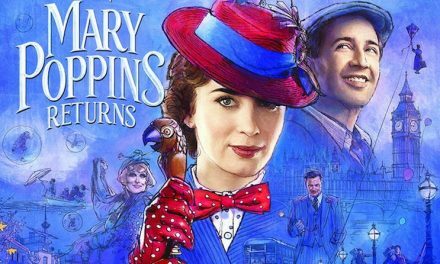 Actresses have clamored to bring her life story to the big screen and to the flat screen, aka TV set. 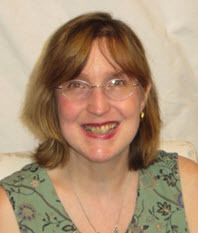 Among the women who have portrayed Amelia are Susan Clark, Diane Keaton, and Hilary Swank. 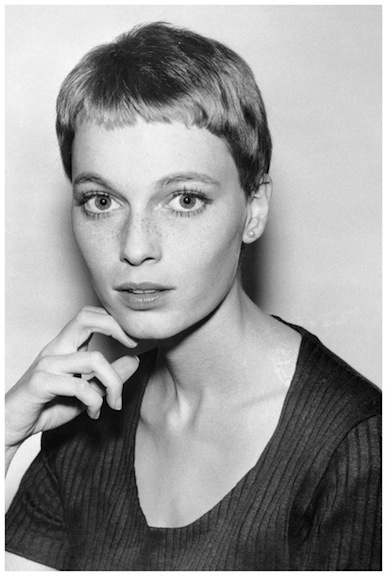 (I think Mia Farrow would have been a great Amelia, too.) Amy Adams has the distinction of playing Amelia Earhart’s wax mannequin. In “Night at the Museum: Battle of the Smithsonian,” Adams portrayed the wax “dummy” of Earhart that magically comes to life when the museum shutters its doors for the evening. Adams is no stranger to playing in fantasy films—her role as Princess Giselle in Disney’s “Enchanted” is a career high point, and remains among her highest-grossing roles. 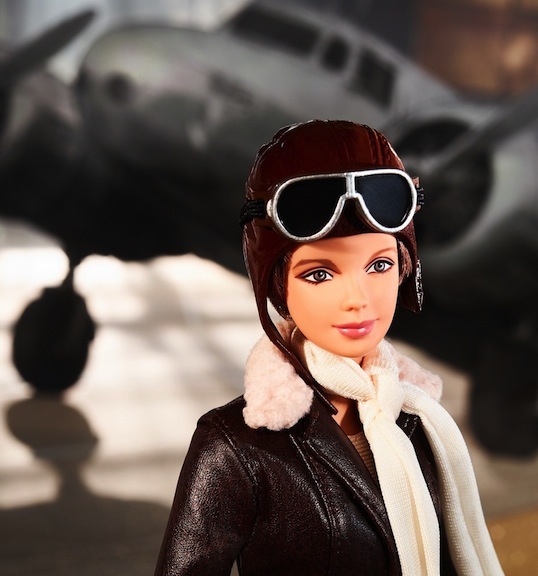 Mattel’s first release in the Inspiring Women series is a declaration that women should not be fearful to test their wings and to reach for the stars that sparkle above them. “Adventure is worthwhile in itself,” she wrote in one of her flying accounts. 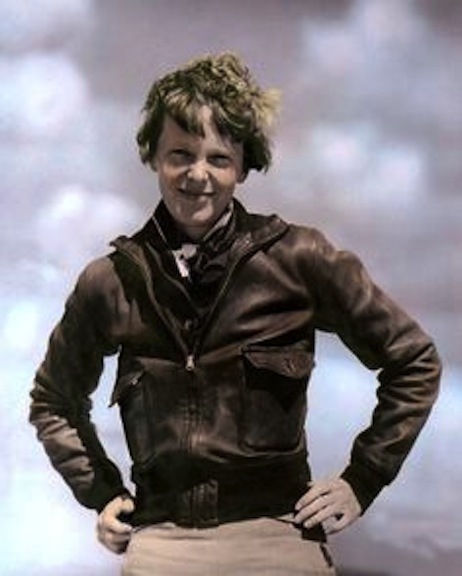 Earhart’s life was cut short, but her legacy and inspiration remain unwavering. 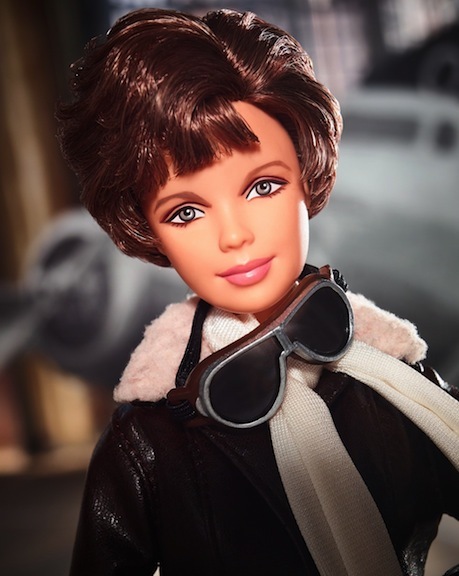 Amelia Earhart is the first doll of Barbie’s Inspiring Women series that I’m acknowledging. It’s still available for purchase, and is priced at under $30. Look for the other two deserving dolls and their real-life stories and amazing accomplishments to follow. NextSurreal World: Is Mattel getting real enough with Frida Kahlo Barbie? Revolutionary Road: Created to save humanity, a hero emerges . . . from the toy box.